This Cabin Crew interview profile brings together a snapshot of what to look for in candidates with a balanced sample of suitable interview questions. Cabin crew members are responsible for ensuring the safety and comfort of aircraft passengers. The best cabin crew members work well with teams, deliver great customer service, and are meticulous about following procedures. In addition, they’re generally excellent at conflict management, problem-solving and working under pressure. The barrier to entry for this position is fairly low, as you mainly need a high school degree or GED certification. However, there are some qualifications that would give you an edge, such as being multilingual. Experience or knowledge of travel, tourism, and hospitality management is also desirable. The volume of applicants for this position tends to be high and for expediency you may find yourself doing initial group interviews. 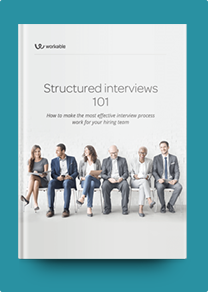 These questions are suitable for final interviews and are meant to give you a better grasp of your candidates’ thought process and communication skills. Use open-ended questions, and maybe some role-play, to identify candidates who enjoy talking to people and have a genuine desire to help customers. How would you deal with being away from your family and friends for long periods of time? Describe a time you suggested an improvement to a work process. What would you do if a coworker was not doing their share of the work? Describe a time you argued with a coworker. What would you do if your coworker refused to follow a new policy? You’ve noticed a coworker or passenger violating safety standards. How would you respond? How do you handle difficult passengers? What would you do if you saw a passenger harassing or abusing another passenger? Describe a time you went above and beyond to provide great customer service. Describe a time you resolved a problem with an angry customer. Would you be ready to jump out of a plane in case of an emergency? Describe a time you resolved a crisis at work.